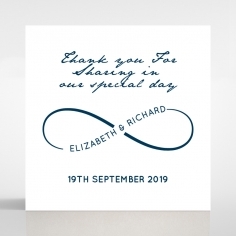 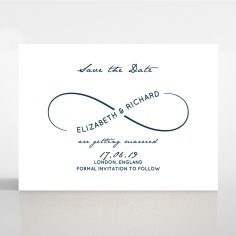 Showcasing a simplistic appeal that is complemented with the addition of an infinity symbol to add extra meaning to your invitation. 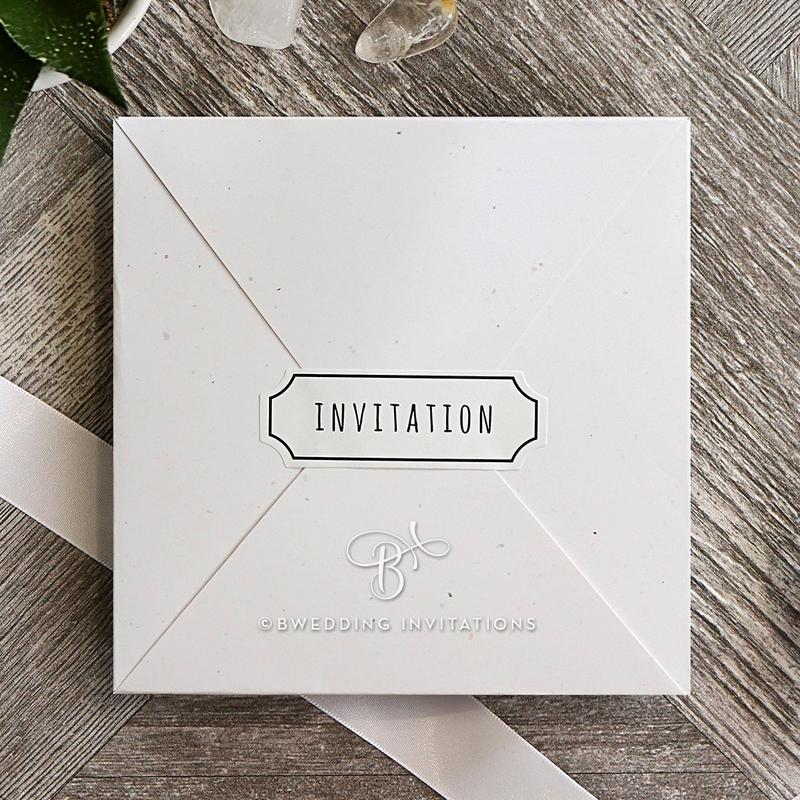 This elegant and romantic design is the perfect invite for a laid back intimate affair as it features a silken white tone to suit your special day. 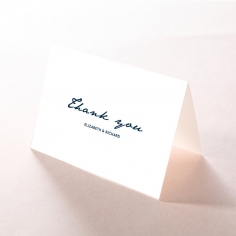 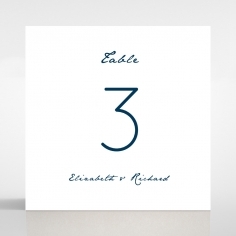 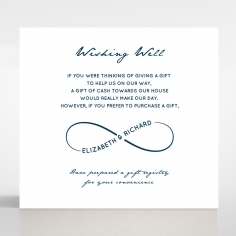 It sets the tone for your wedding and adds class to the overall card presentation. 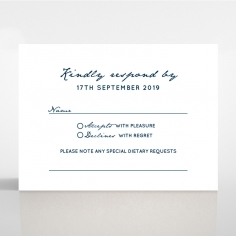 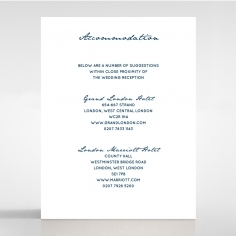 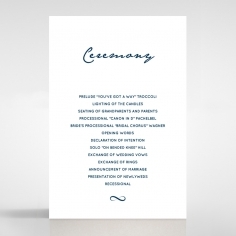 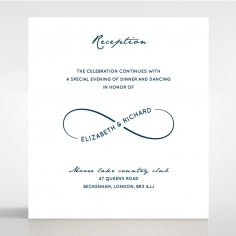 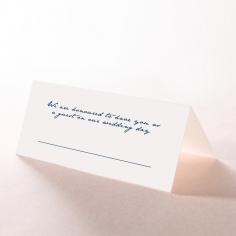 Stylish lining becomes the border using blue ink which is also featured throughout the invite for your custom wording. 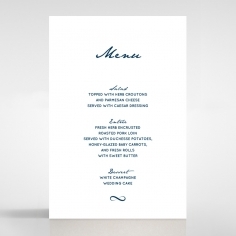 Your choice of calligraphic text can be used on the inner card while silver lined complimentary envelopes are offered for extra elegance.